This is a written interview only today. No audio/video. Hillary was one of those ladies who just had that pesky 15ish lbs or so she struggled with. She lost 17 lbs total between the hCG Diet Protocol and my P3tolife program afterwards. While P3tolife is designed for stabilization, some of the ladies who follow it lose weight and choose to go with it (although you could compensate the calories to prevent weight loss if you chose to). I’ve been meaning to take the time to send feedback. I thought I would wait until I finished P3, but I might as well respond now. First, and foremost, thank you so very much for your program and all the support you provide through your blog. You’re journey, experience, collection of feedback from others, and heart really make you a resource for those of us looking for guidance. I’ve done HCG twice before and never made it through P3 without MANY steak days. I fell into several of the traps you discuss- going too low carb, no portion control, calorie dense foods (cheese, nuts), etc. This time- I did a 6 week round of HCG. Did not have insane success (only lost 11 pounds in 6 weeks! ), but it seems as if the weight came off in the right places. I took a leap of faith with your plan. I’ve never really cooked before and, quite honestly, didn’t even know what many of the ingredients were. I followed week one pretty closely; however, since I needed to have two meals out, I chose two meals not to cook. WOW- you can cook, girl!! I’m not usually a person who likes a lot of spice or lemon/lime, but EVERY SINGLE meal was so insanely delicious, I kept trusting you and was amazed at the yummy, yummy food! The second week, I couldn’t bear to waste all the perishables (I’m only cooking for myself) I purchased for week one…so I didn’t follow the week two plan. I chose meals I could make using the perishables I already had ( i.e., used leftover ground beef and ground turkey instead of ground pork to make pork-cauli fritters) and did shop for a few of the foods to make other week two meals. Again, the meals were outstanding!! This past Friday, Saturday, Sunday (end of week two, beginning of week 3 for me) I had family in town for Jazz Fest in New Orleans. I knew I would not be able to follow the plan. I watched your tutorial on drinking in P3 which helped. I did not stick to a couple drinks; however, I kept the calories low, reduced the fat intake, had protein, and continued exercising (running plus lots of walking at the festival and sightseeing). When they left, I resumed, by buying ingredients for about 4 main meals and the frittata. SOOOOO GOOOOD, everything! Including your fave- fish taco bowl. And…I’m actually down 4 pounds from my LIW. No steak days, no gains. I never eat this much fat or this many carbs when trying to be “good”, but I think you’ve figured out the key! I don’t want to jinx it since I still have today and three more days to conclude P3. I have had great difficulty stabilizing in the past requiring many, many steak days. I hated the uncertainty of never knowing whether or not the scale would be up 2 pounds from LIW. I approached Phase 3 with great apprehension, in the past, because of the lack of structure. Structure and trust! 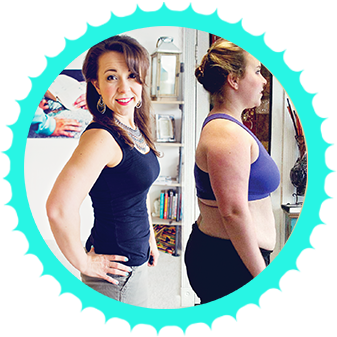 I took a leap of faith with your program because you have maintained your weight loss for years and collected anecdotal evidence from so many women. Once I realized I could eat according to your meal plan and not gain (even lose some more weight), the anxiety of P3 disappeared. Again, much needed structure. You figured out the calories and macros for each dish, day, and week in a way that works! I was able to eat more fat and carbs than I ever have before in P3 without gaining. There was no bingeing on cheese or nuts, approved foods for P3, because the meals were so delicious and satisfying and they fit within your overall structured plan. I did the original plan, mostly, for week one; but needed to have a couple meals out so I just didn’t cook two meals. I did more tweaking in week 2 because I didn’t want to waste the perishable food I had from week 1. I made some logical substitutions, i.e., ground beef and turkey for ground pork, eliminated some meals, and made some of the week one meals again. Also needed to tweak during week 3 as I had company for three days (for New Orleans Jazz Fest) and knew I’d be doing some drinking. I followed the general principles in the drinking on the P3 Interview (although I did drink more heavily), did not gain during the visit, and then selected week 3 meals to prepare for the rest of the week. I had no gains and lost an additional 5-6 pounds. How did you feel about the portion sizes & taste of the P3 meals? Did the portions and taste of the food make any difference in how you felt about eating/relationship with food while on p3? If you still felt hungry, how did you adapt it to add calories? The portion sizes worked well for me and the taste of the meals was A-MAZING. I’m not one for spicy food, curry, or lemon/lime- at least, I thought I wasn’t. These recipes made me a convert. I didn’t need to supplement, except a bit at breakfast. I will say, going forward, I like a hardier meal in the morning and smaller meals for lunch/dinner. I think that’s probably because you work out in the afternoon and I work out first thing in the morning. I am a single woman with a full-time, stressful job who has never really cooked before. I’m the chick who had the sign, “I have a kitchen because it came with the house.” I actually took a picture of my stocked P3 refrigerator and sent it to my sister with the caption “Did you ever think my refrigerator would look like this? !” I used to live like a bachelor. That said, I enjoyed learning how to cook (somewhat) and every recipe except one (due to my personal dislike of kale) was extraordinary!! I’d cook up dinner (and the next day’s lunch) and think, wow, that’s way too much work, I can’t live like this on a regular basis. Then, I’d sit down to enjoy my meal and it would be crazy awesome!! Absolutely!! I’ve done two other rounds of HCG, years apart, and struggled on P3 both times. I’m extremely disciplined so no worries with P2, but I couldn’t seem to figure out P3. Never strayed from the rules, but had problems with portion control, trying to be too low carb, low fat, etc. I think you have truly found the key to a successful Phase 3. I was surprised to lose additional weight. I learned there are spices in addition to simply salt, pepper, garlic salt, and paprika. All kidding aside, your videos are inspirational…truly. What were one or two of your favorite recipes in the plan? The Fish Taco Bowl, Buffalo Chicken Salad (and I’m not a spicy girl), Spaghetti Squash and Meatballs, Curry Meatballs over Cauliflower Rice, Curry Chicken, Garlic Creamy Chicken, Pork Cauliflower Fritters, Bacony Egg Cups, Mug Muffins, etc., etc. I’m sure I have the names wrong because this is if the top of my head. The meals were absolutely delicious. I didn’t make them all and still plan to do so even though I finished P3. I used injections from the US company you recommended. I do not recall the name. I think anyone considering your P3toLife program should give it a try. There is absolutely nothing to lose. I’ve never really cooked and I was able to stick to your plan. The recipes are easy to follow and I would say amateur-cook-proof. The plan provides what I think is a fool-proof way to stabilize your weight. I am one of those people who has never been what others would consider significantly overweight; however, I need to watch my weight and am always struggling. If a diet says you’ll lose 10-15 pounds in a certain period of time, I’ll adhere completely and lose 8. Your program allowed me to stabilize on P3, for the first time, and at a reliable 5 pounds below LIW. In straight numbers I’m 50 years old, 5 feet, 5 inches tall, pretty active with respect to exercise, started a 6 week HCG round at 145, only lost 11 pounds (but a good 11 pounds) ending up 134 at LIW. Then, during the 3 weeks of your P3 program dropped to 129/128. I have remained at that weight for an additional week. Fingers crossed I’m not jinxing that result by writing it here. So I started HCG Saturday as a Load day. I am so upset. I do not know why my will power is so easily gone. Yesterday when was got home from work there was leftover pasta and I should have said no but I didn’t. I will continue today with protocol but have I ruined my ability to lose weight over the next 40 days?? Nicole: I don’t think you have ruined your ability to lose – just get back on track. What helped me lose and stay on the plan was I changed how I viewed those things (donuts, pizza, pasta) and my response. I would say I choose not to eat it. You have made the decision to go on HCG because you are worth it, you want to get healthy and you are doing this for YOU. Certain foods that have a hold on you will become less important as you replace those things with healthy choices that are truly fueling your body in a good way. Hang in there – You Got This Nicole! !